Mark Wheatley, 44, from Swindon, found himself homeless after losing his job. His relationship broke down and Mark’s confidence plummeted. 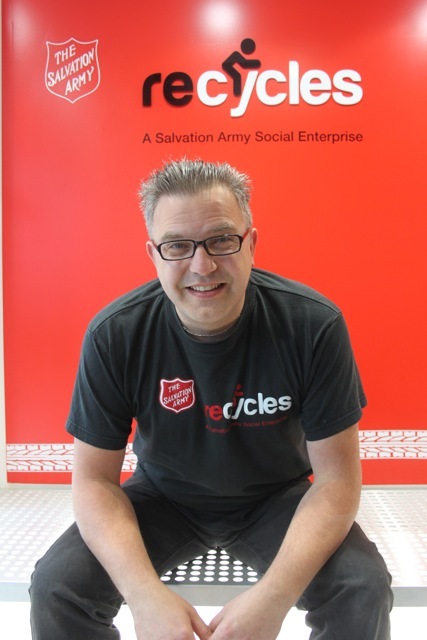 But thanks to The Salvation Army, he has turned his life around and found work as a relief cycle mechanic at a social enterprise scheme run by the charity. However, within a few weeks the father-of-two began volunteering at the Recycles scheme, where he quickly learned how to refurbish old bikes, carry out repairs for people in the community and learned about cycle mechanics. The Salvation Army gave Mark the opportunity to complete an NVQ Level 2 qualification in engineering and he now is employed by the church and charity as a relief cycle mechanic and lives in a housing association flat in Swindon.